Sophie joined Watsi on July 28th, 2013. Two years ago, Sophie became the 2296th member to automatically support a new Watsi patient every month. Since then, 2,801 more people have become monthly donors! Sophie's most recent donation supported Kaung, a toddler from Thailand, to fund eye surgery. Sophie has funded healthcare for 62 patients in 10 countries. Faraja is a baby from Tanzania. He was diagnosed with bilateral genu valgus. His legs bow inward so that his knees touch. This condition is typically caused by an excessive accumulation of fluoride in the bones, which often stems from contaminated drinking water. As a result, he has a difficult time walking. Our medical partner, African Mission Healthcare, is requesting $940 to fund corrective surgery for Faraja. The procedure is scheduled to take place on February 14. Treatment will hopefully restore Faraja's mobility, allow him to participate in a variety of activities, and greatly decrease his risk of future complications. Bernard is a laborer from Kenya. He is married and has four children. In early December, Bernard was hit by a moving vehicle. He sustained a closed fracture of his right clavicle bone. He is not able to move his shoulder freely and is in constant pain. Fortunately, surgeons at our medical partner can help. On December 20, Bernard will undergo a fracture repair procedure, called an open reduction and internal fixation. This procedure will help his healing, and he will be able to use his arm. Now, our medical partner, African Mission Healthcare Foundation, is requesting $998 to fund this procedure. “I am so desperate and feel like I may never be able to use my hand anymore, yet I have a family to care for. Kindly help me," says Bernard. Susan is a farmer from Kenya. She has eight children. For three months,, Susan has been experiencing lower abdominal pain. She has been diagnosed with cervical cancer. She needs to undergo a hysterectomy, a procedure in which surgeons will remove her uterus. Our medical partner, African Mission Healthcare Foundation, is requesting $756 to fund Susan's surgery. 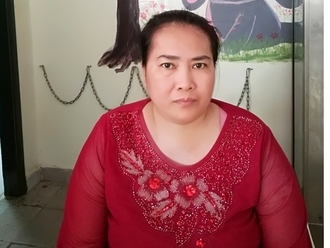 On May 24, she will undergo gynecological surgery at our medical partner's care center. Once recovered, Susan will be able to resume her daily activities free of pain. 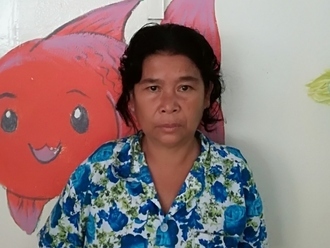 Susan says, “I pray that soon I will be treated and resume my normal duties."